This is my first 3D printer and I can say that I have been completely happy with it. I am going to use this page to add links to useful “stuff”. 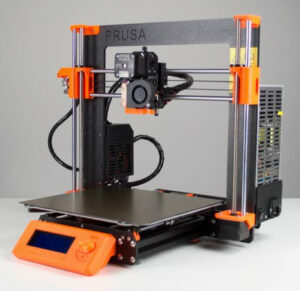 This is a direct link to Prusa’s “Prusa i3 Printable Parts and Upgrades” – all of the Prusa printer upgrades including of course the one I am interested in, the MK3. This is a direct link to an article on upgrading the Prusa i3 MK3 to the i3 MK3S. This page has links to downloading the parts that can be ‘self’ printed as well as illustrations of all of these parts, descriptions, instructions and so on. Going to upgrade my basically stock Prusa Mk3 to the latest and greatest MK3s extruder design. All new filament sensor with higher reliability here I come! Look, when the kit instructions classify the assembly as “extremely difficult” and you’re fresh out of gummy bears, a lot of things can go wrong, and they did. In this video I’ll show you my upgrade adventure as I perform the Prusa MK3s Extruder upgrade. I’ll also show you how I fixed things that went terribly wrong and how to troubleshoot some of the problems you might encounter. Hope you find it useful, or at least a little entertaining.